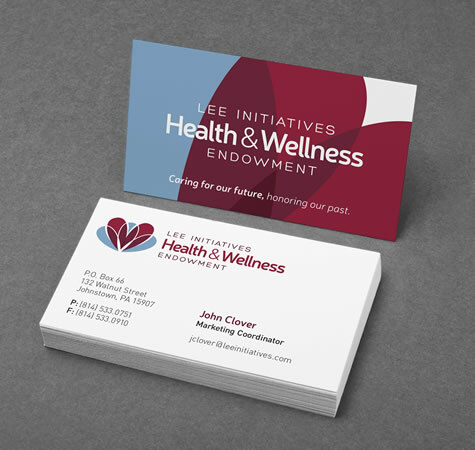 Lee Initiatives needed to establish an image for their Health & Wellness Endowment that accurately portrayed the foundation’s values of care and community. Lee Hospital, which had its initial incarnation in the 1920s, was known for its excellent care and unwavering mission to better the Johnstown community. Established in 2005, Lee Initiatives is a foundation that is committed to carrying on the Lee legacy through philanthropy and community involvement. By providing funds for energy assistance, after-school programs, cancer research, medical equipment and healthcare-related educational programs, Lee Initiatives has been able to have a real impact on the lives of Johnstown residents. When they needed to establish a strong image for their Health & Wellness Endowment initiative, they came to us to put a face to their brand. The Lee Initiatives Health & Wellness Endowment logo had two important messages to communicate. Most importantly, it needed to show that the endowment was an initiative to improve care facilities. Care is the core principle of the endowment. It also needed to show that though Lee Initiatives is a singular organization, the goal of the endowment is to reach out to care facilities all around the region to improve the lives of those they serve. Three logo designs were presented for review. The final logo used two concepts to represent these ideas. The primary shape of the logo is a a blooming flower, representing life and growth. Tucked neatly in the center of the mark is a heart, a traditional symbol of care and compassion — thus, showing Lee Initiatives at the center of the communal growth. After a logo design was selected and refined to its final state, we were tasked with creating a corporate identity package consistent with the new branding. 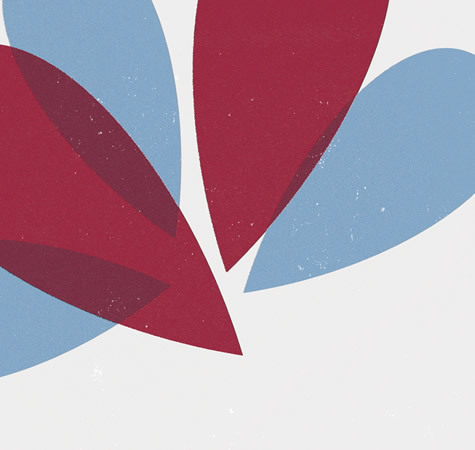 The shapes and colors of the flower petals in the logo provided a good springboard for the entire package. We were able to incorporate the shapes in several places, but in a subtle way that gave precedence to the information the different print pieces needed to communicate.